Chharles Busch's Psycho Beach Party started life as an invented title called Gidget Goes Psychotic — nothing more than a punch line, a throwaway joke in a nightly curtain speech at the Limbo Lounge in New York City's East Village. After Busch had teased the upcoming show on enough occasions to huge laughs, his producer suggested that it might have something worth unpacking. 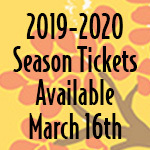 The resulting play debuted in 1987 as a kind of late-show nightcap to Busch's Vampire Lesbians of Sodom, which was enjoying a long off-Broadway run at the time. Busch himself played Chicklet, the homicidal beach-bunny ingenue of Psycho Beach Party. 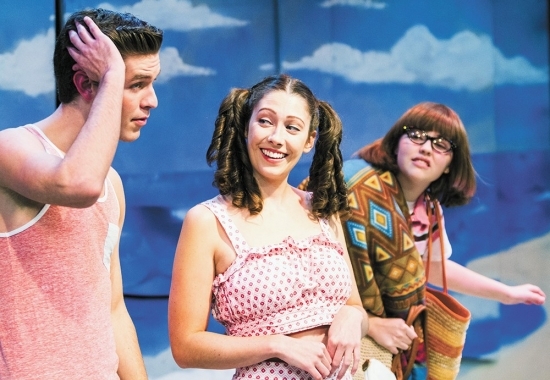 "It's a spoof, a parody of all the 1960s Frankie Avalon, Annette Funicello beach-blanket party movies, teenagers on the beach having a blast," says Jason Johnson, who plays Chicklet's mother, Mrs. Forrest, in a new studio production of the show at the Spokane Civic Theatre. But in keeping with Busch's kaleidoscopically warped creative lens, there's the "psycho" part of all that frivolity, which Johnson adds after a carefully timed pause: "… if Annette Funicello had multiple personality disorder and Joan Crawford was her mother." It's those two forces — an overbearing, overprotective, borderline mother and the exculpatory catharsis of split personalities — that put Chicklet at the center of a beachside murder spree while her peers are preoccupied with sunbathing and hanging ten. That "fun, campy" and somewhat sinister twist is characteristic of Busch's penchant for "taking iconic images of Americana and putting a comedic spin on them," Johnson says. "His Die, Mommie, Die! takes a very bold stab at all of these icons of Hollywood from the 1950s and '60s. Vampire Lesbians of Sodom was very much a comedy about the B-grade horror movies from that time period. This is the same type of thing…"